These are the basics of who and what we are at iKids. 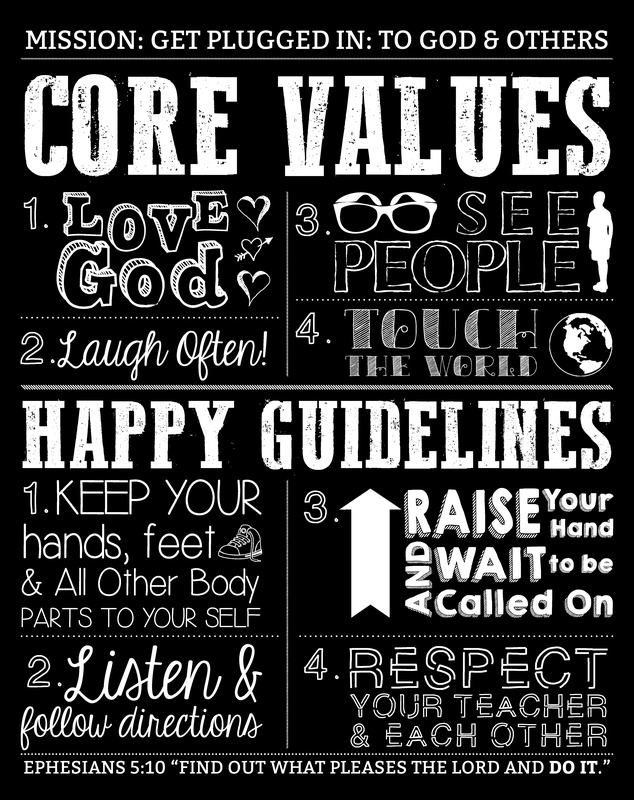 Our Core Values help point us to Jesus and who we believe He wants us to be. Our Happy Guidelines are what keep us in line as we do our best to walk closer to Him.